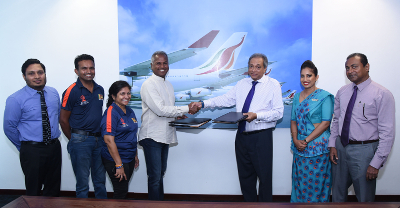 SriLankan Cares, the Corporate Social Responsibility arm of SriLankan Airlines, has embarked on a journey to empower and uplift thousands of youth, women and children in the Mullaitivu District, one of Sri Lanka’s most underprivileged regions. SriLankan Cares entered into a memorandum of understanding with the Foundation of Goodness for a long-term collaborative effort through the Village Heartbeat Project. SriLankan Cares will use its wide-ranging resources to actively source funding for the construction of a fully fledged Training Facility at the Village Heartbeat Project Centre that the Foundation of Goodness is setting up at Oddusuddan in the Mullaitivu District.